Roaming Bison Tavern is Buffalo's newest and truest Kentucky Bourbon bar serving up your favorite southern style dishes. Located in Western New York, just one block west from Elmwood Avenue, RBT has taken over the old Nortel Grill with some serious upgrades inside. We are a local, small town place, here to tantalize your tastebuds with our competition style BBQ and inspire you to expand your knowledge and taste for Bourbon. We smoke our own meat offering your favorite southern style dishes with our house made BBQ sauces! Not all barbecue is created equal. Greg Herzog, owner/operator, has been in the bar & restaurant business for over 20 years and spent the last 15 honing in on Bourbon and barbecue all with the Roaming Bison Tavern in his head. North, east, south, and west, Greg, has learned from some of the best in the business of Whiskey and BBQ and the ins and outs to give back to his hometown. The concept behind RBT comes from traveling across the country from Buffalo, NY to Las Vegas, NV. On August 5, 2017, RBT opened in the old Nortel Grill, a North Buffalo/Riverside/Blackrock staple on Hertel Ave since 1939. RBT is a true Kentucky Bourbon Bar and BBQ joint with over 150 Bourbons, Ryes, and Whiskeys. Our menu is pub style with a southern feel. We try to source locally as much as we can and partner with Maple Ridge Bison Ranch. From a fresh take on mac & cheese to our competition BBQ smoked wings and brisket, there is something everyone will love. "The Perfect Place, For The Bourbon Shy!" Don't know where to start? That's what we are here for! We'll help you find the Bourbon you never knew you needed. Our staff is trained and highly knowledgeable about all of our distilled spirits. We specialize in Bourbon, Rye, and Whiskey and have over 100 varieties to choose from. Whatever your preference is, whether it be sipping, mixed, or something else, we have a number of ways for you to enjoy Bourbon Row. Come on in and see us! 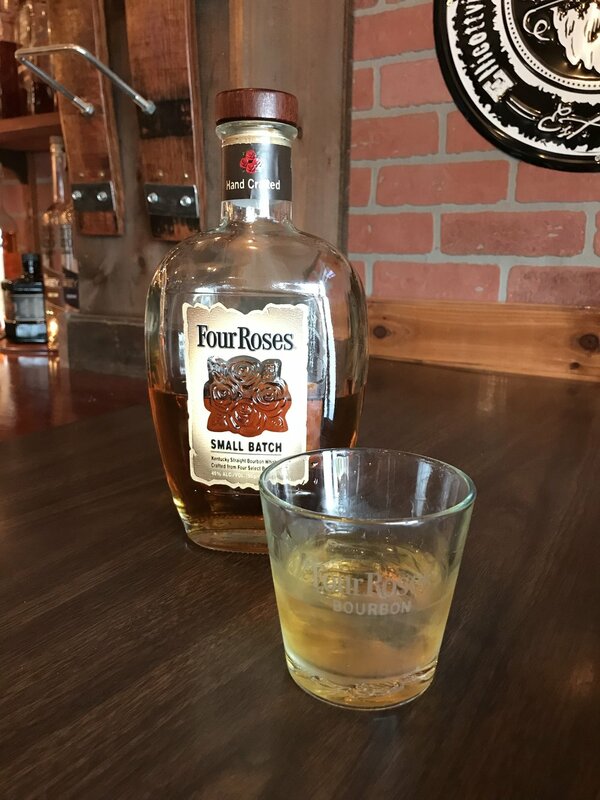 Experience Bourbon Row for yourself! "The owner, Greg, takes great pride and care in everything they serve. From whiskey to wings, it's all done with high quality ingredients. The Kentucky Bourbon fries are out of this world. Trust, just order them. I can make a meal out of them... but would much rather split them with a few others so I can enjoy something else from the menu." "The RBT is without a doubt my favorite new restaurant on Hertel. After two trips and two servings of BBQ, I feel I can finally sing the praises of what is hopefully a new Buffalo staple! The owner Greg really goes out of his way to make sure you feel at home and get top notch service. He's extremely knowledgeable about both BBQ and the fine bourbon selection behind the bar. The food is great too, every time we've been everyone at our table has really enjoyed their meal. My wife and I really had a nice time here and we will certainly be back in the future!" "Tried this place for dinner tonight and I must say it was phenomenal! The owner Greg was very personable and definitely knows everything there is to know about bourbon. They have an extensive bourbon selection and Greg was there to answer any questions and to give his recommendations! I ordered the Bison Burger for my entrée and my boyfriend ordered the Nashville Chicken sandwich and we were not disappointed. Everything was great and we will definitely be back!" "We stopped at the Roaming Buffalo Tavern last night to meet up with some friends. Found an amazing bourbon selection and great food. Among the hits devoured by our party: the loaded fries, the Ruben, the burger, and the pickles were so good some of the friends got an order to take home. Staff is excellent. A very good place to spend an evening. Highly recommend." New business located at the old NorTel on Hertel. Great food. Drinks are above average price. Because they're committed to good drinks. Excellent food. And a great knowledge of the great variety of blends of whiskey, particularly bourbon. Great atmosphere and the employees provide excellent service and personality. Bourbon specialist. No games. No lotto. This owner wants to be a DESTINATION. "First impressions - this place is fantastic. Aesthetic is classic tavern style, music was big band/swing, not obnoxious pop music you'll get at other restaurants of the same style. Service was super friendly and knowledgeable about the booze and food. Ordered the smoked bourbon wings, fresh cut fries and a Ruben sandwich. Wings were crispy outside, juicy inside. Bourbon sauce was savory, sweet and full of flavor. Fries were excellently seasoned. My girlfriend loved the Ruben, said it was clearly freshly made to order, on marble rye bread. Good variety of unique beer on tap, will try the bourbon flight next time. This place is stellar!!! " "We met Greg, the owner, who also stepped in as our server for the night. He is a great guy who cares for his place, his bourbon and his food. The place is clean and well decorated. The bourbon selection is enormous and the food was over the top excellent! Our group had three appetizers; smoked wings, smothered fries and the mac’ncheese balls. Wow! That was before the amazing bison burger and the delicious Nashville chicken sandwich! If good food in a casual environment is your thing, go here!" "Amazing bbq!! Our favorite was the Smoked chicken wings in the blueberry bourbon bbq sauce chicken fell right off the bone, brisket tips and Pulled pork were so flavorful ! Friendly staff!!! will be back soon!" "Just when you thought Mac and cheese couldn't get any better...the Mac Ancini ball is awesome! I also love the pit style chicken wings! Friendly service and quick too!"